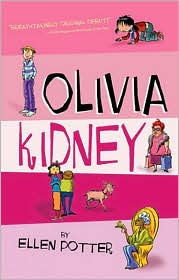 Review: this book was a really good read it was confusing at first but l really got into it and l can read this book time and time again and not get bored it’s sad to read Olivia’s mother and brother have passed away but she has a loving father who will do anything for Olivia but he’s not a good caretaker and he always gets fired so that means another home, apartment block and school. For Olivia to make new friends yet again but Olivia normally just read a book then talk to friends and Olivia’s father sounds like a great guy. l read this book years ago and l love reading it.